Jason Momoa's Aquaman may have found his queen as Variety is reporting that Amber Heard (The Danish Girl) is being considered for the role of Mera in 'Justice League.' 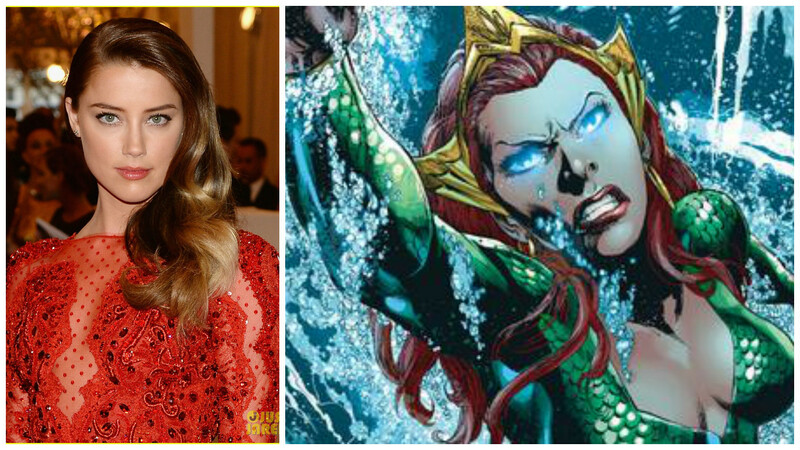 If cast, she'll also appear in the Aquaman solo film in 2018. Created by Jack Miller and Nick Cardy in 1963, Mera's origins have been revised since then but essentially is an undersea queen who marries Aquaman in the comics. A loyal and fierce partner to Aquaman with a notorious temper. Her powers include Aquakinesis, can increase density of water and then create any structure with it, limited telepathy and enhanced strength. This would be Heard's first foray into comic book movies and would join the star-studded cast of 'Justice League' that already includes Henry Cavill, Ben Affleck, Gal Gadot, and Ezra Miler. All of which are expected to make an appearance in this March's 'Batman V Superman: Dawn of Justice' in some capacity. Production is set to begin in April and 'Justice League' is slated for a 2017 release. There's been no official comment from Warner Bros. yet and should still be considered a rumor.